All images on this article are downloadable, customizable and are available in EPS, SVG, JPG, and PNG formats. 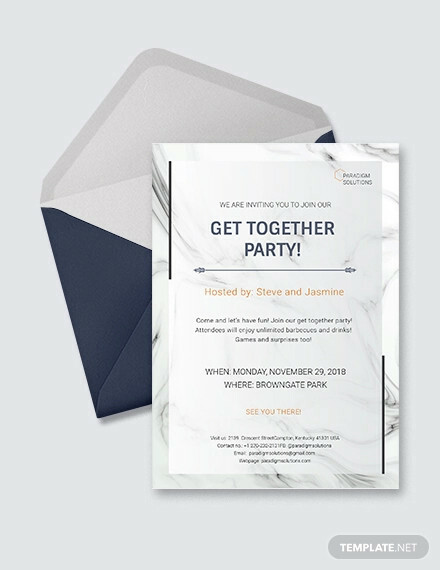 If you’ve finished your scrolling and already made your choice of invitations but still want to look through on more of our downloads, check our Free Party Invitations listing as it won’t make you shell-out cash. So what will be the invite for you? Is this a regular affair for you and your family? 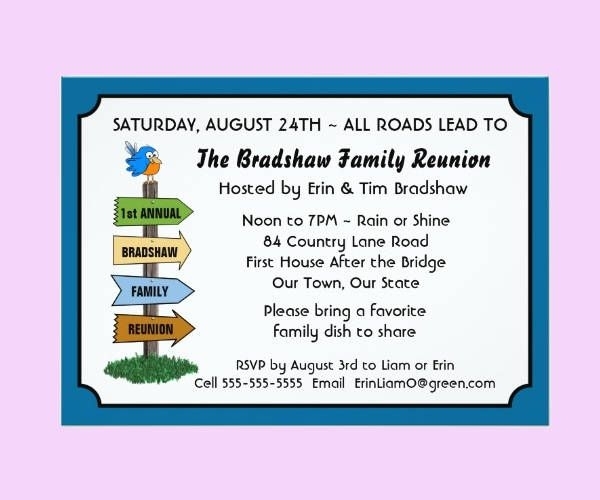 Perhaps this is a yearly gathering just to keep everyone in the family tree in touch with each other? Is it a spontaneous occasion brought about by some tidings good or bad? We hope our choices here will make that event even more memorable. 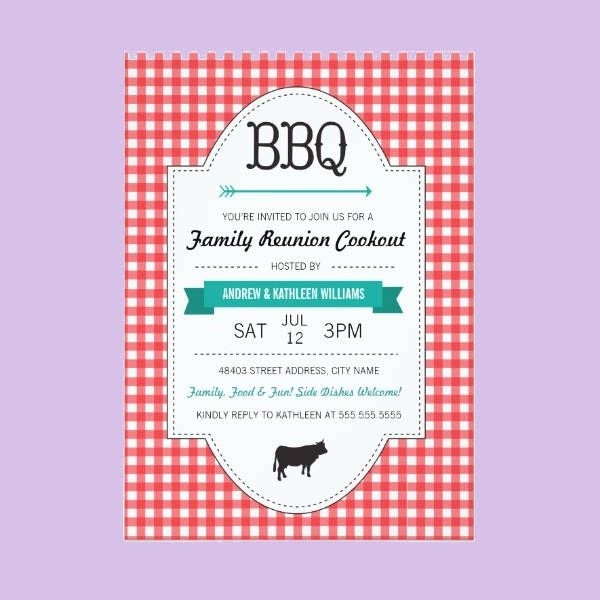 The distance may be a major factor when it comes to family reunions. Family members are usually scattered not just across the country but even into the far corners of the globe. 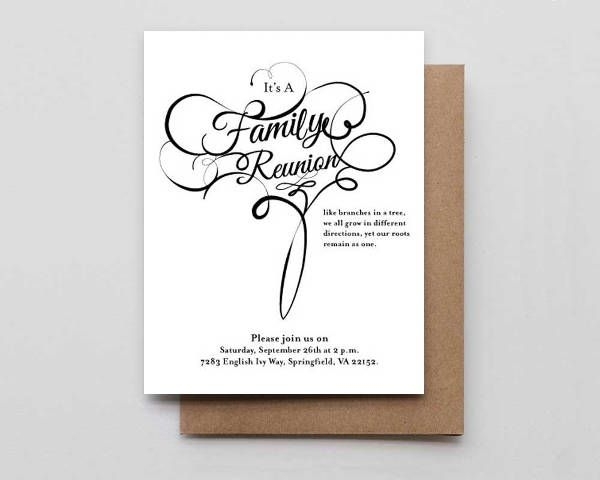 That is why most family members may not find it feasible to attend such reunions. With the advent of social media, we know how easy it has been for immediate families to get in touch with one another. But, mind you, nothing really beats a personal gathering of sorts especially when each family member brings his or her favorite dish to the shindig. 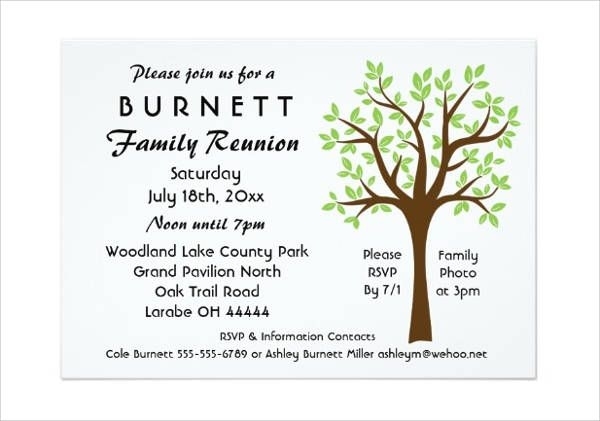 For more related downloadable invites, you can also check our Family Reunion Invitations for more mending of bonds with your immediate family. If the members of your family are located in different areas of the globe, perhaps you need this one gathering to close the distance and bridge the gap. Reach out to them and, while you’re at it, choose the perfect piece to do just that. Send it through Facebook or email or even snail mail if you want to stick to the old-fashioned route. Sometimes an argument within the family will go beyond the reach of forgiveness and forgetfulness. If you and your family have been through some rough patches and need to heal old wounds, maybe now is the right time to mend what has been broken. 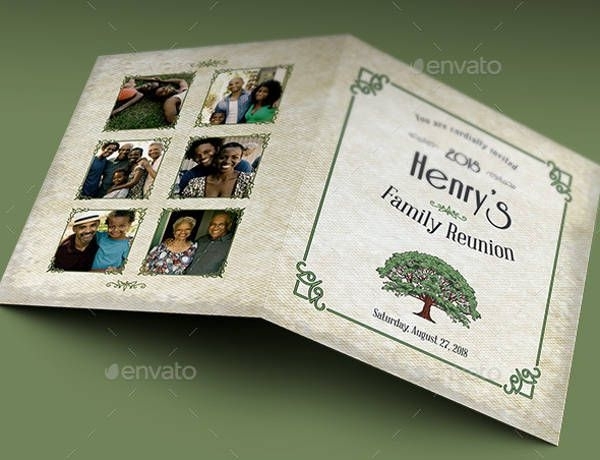 Pick the right invite and start healing your family tree. It’s a good idea to sometimes get out of your busy schedule and reconnect with those important to you. Why not spearhead the reunion plans? 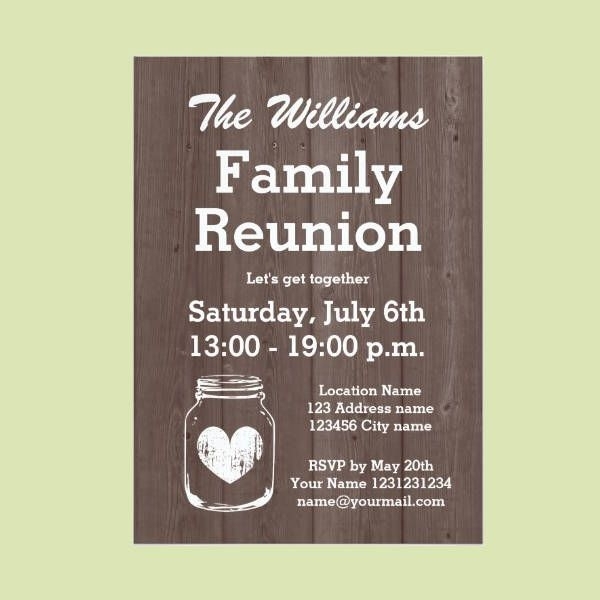 Use our invitation to help you reach out to everyone with whom you’ve lost touch, be it aunts, uncles, cousins and grandkids (if you have any). 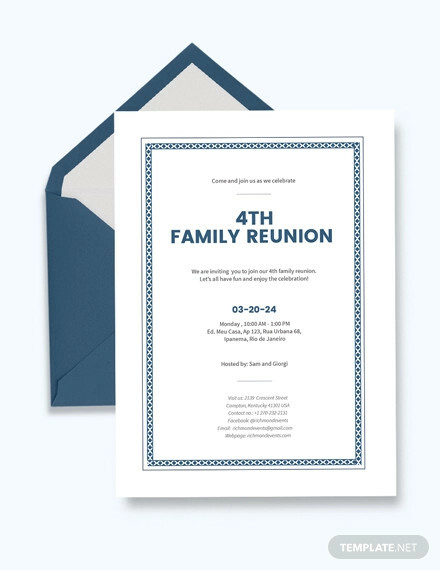 Let a reunion rekindle the bonds you once shared with your family. 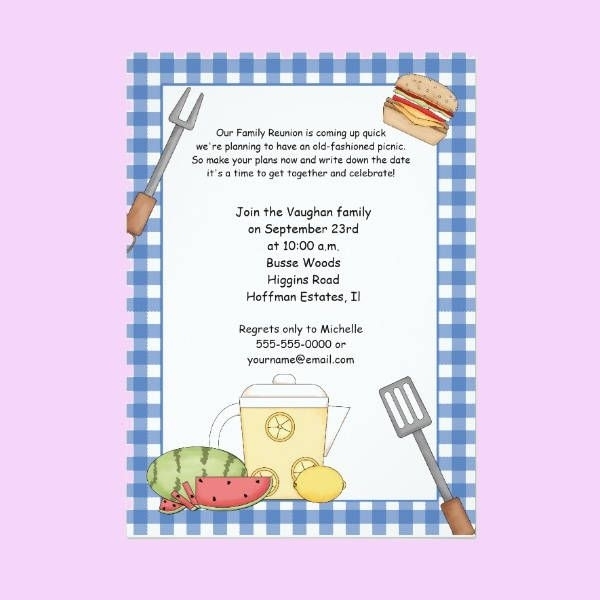 If you’re done with this list of “Family Invitation Downloads” then maybe you can also check our Housewarming Invitations. Don’t pass these wonderful offerings from us, download now!